Welcome to my first post of the by-election campaign. Over the coming weeks I will cover a range of issues that I am hearing about from the community. In this first column however I want to talk in broader terms about the need for leadership and vision in government. I have a belief, unfashionable perhaps, that politics can be a force for good. Yes, bad decisions are sometimes made, but when people with a common vision join together to work and organise around an idea, so much good can be achieved. Over the course of our history it has happened time and time again – think about the establishment of our world leading public health and education systems, New Zealand’s nuclear-free status, or internationally the achievement of Indian Independence and the American civil rights movement. All were achieved by people with a political vision who joined together and achieved change. Politics needs to be about more than making technical decisions or just doing what the latest polling tells you. The very best leaders listen to the people around them, but are also driven by a strong set of values and ideas. My concern about the current National government is not that it is made up of bad people or that every policy is bad, rather it is a feeling that there is no clear leadership or vision. The government is very good at managing the political situation, but in the meantime many key issues continue to drift while people wait for action. Housing is the clearest example. Average house prices in Auckland are now over one million dollars, locking most ordinary people out of the dream of home ownership – yet there is no decisive leadership or action from the government. The starting point should be a clear vision – that every New Zealander deserves a warm dry home, and that ordinary people who work and save hard should be able to afford a home of their own. Working out from there it is the job of government to show leadership to deliver the vision. In this case, there is a clear need to build more affordable houses and to crack down on rampant speculation. The core beliefs that drive my vision for a stronger and fairer New Zealand are simple. I believe that there is an essential dignity and value in every human being, that we all do better when we live together in community, and that the earth we live on is a gift to be cared from, not abused. I stand for Labour because over its history, Labour governments have most consistently represented my values, showing the leadership and vision that I believe our country needs. I believe in progressive government that is always looking forward and making long-term decisions in the interests of the many. Finally, I must congratulate my good friend Phil Goff on winning the Auckland Mayoralty. I have worked closely with Phil over thirteen years and I know him to be a person of outstanding character, with a huge work ethic. He is the right person to lead our city. 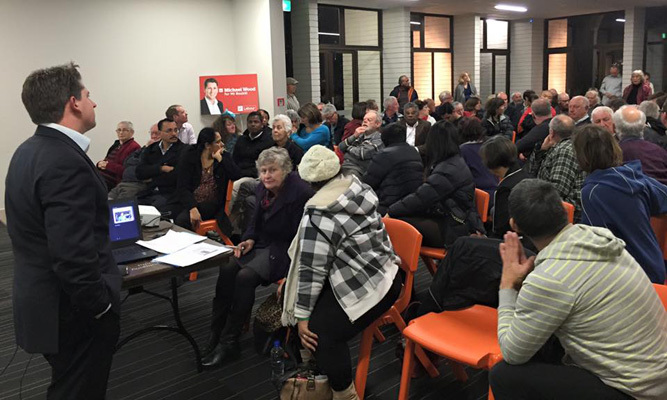 I hope to do his legacy justice as the new Labour candidate for Mt Roskill.